Can't quite afford the M3 or M5? 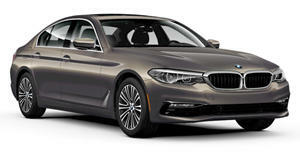 BMW wants to offer you a cheaper alternative. First off, don&apos;t be mistaken by the &apos;M&apos; name; these are not the M3 and M5 high-performance models. However, M Performance Parts are basically custom designed pieces meant to give each model a bit more style inside and out along with some minor performance upgrades. Simply put, if you can&apos;t afford an actual M3 or M5, then this might be your best answer. BMW states that every component has been developed in close collaboration with the M division. Buyers can opt for an improved chassis as well as aerodynamic exterior pieces, cockpit and powertrain components. More specifically, both the 3 and 5 Series can be had with a set of new 20-inch forged alloy wheels, a Brembo big-brake kit with painted calipers, high-gloss black kidney grilles, and handmade carbon fiber mirror caps. The black stripe running down the roof and trunk is optional. The 5 Series can also be had with a carbon fiber rear deck lid spoiler. In addition, the 3 Series&apos; interior features a new Motorsport-derived steering wheel in place of the standard wheel. This new one has a thick, racing-style flat bottom and is fully covered in Alcantara. Also take notice of the red stripe placed at the top of the wheel that provides an easy visual indicator of the wheel&apos;s position. There&apos;s also a seven piece carbon fiber and Alcantara interior trim set that includes a special silk matt protective lacquer that protects the structure and texture of the carbon fiber which now has what BMW calls an "open pore" finish. Buyers can opt for a carbon fiber shift knob for both manual and automatic versions. Lastly, there&apos;s an optional exhaust system developed for the 335i and 535i that utilizes state-of-the-art technologies to help generate an even sportier sound. The way in which it works is that exhaust backpressure is reduced which in turn creates that improved noise while managing to avoid the droning noise that&apos;s often heard with some other aftermarket exhaust systems. It even has a high-tech look with two chrome-plated 80 mm exhaust tips. 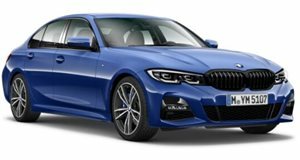 Official pricing hasn&apos;t been released, but BMW claims that all products are covered by a 4 year/50,000 mile warranty as long as they&apos;re installed before vehicle delivery.